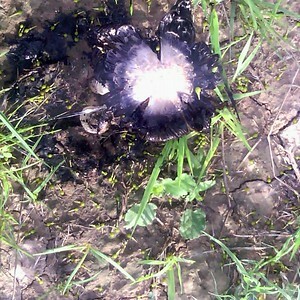 Ink Top Mushrooms have a life spam of about 24 hours. 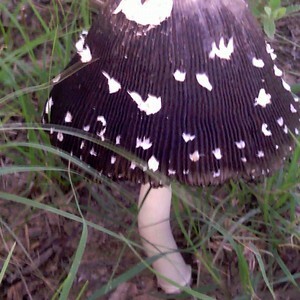 When you touch their tops they will desolve to liquid and stain your hands like ink would. They are not edible. 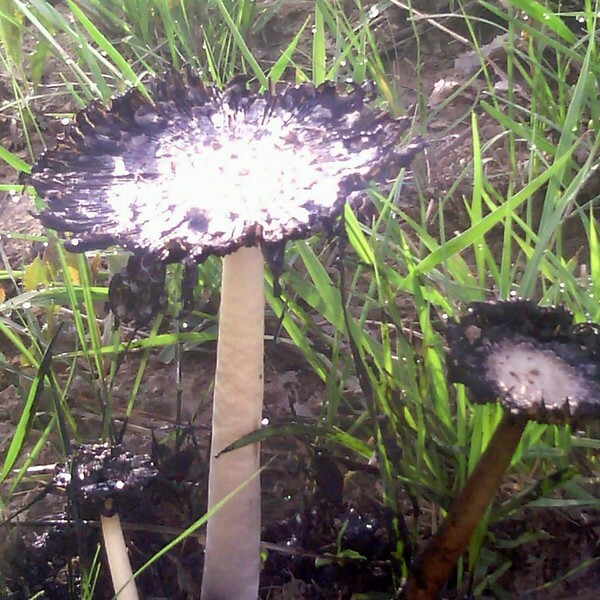 Ink top mushrooms usually pop up after a soaking rain. If you touch them they turn to black liquid and will stain your hands! They are not edible and they only live for 24 hours !!! This ink top looks like it grew into a pair of wings! 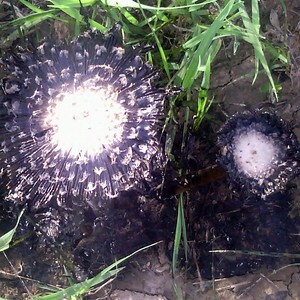 These 3 are in various stages of growth.The life span is about 24 hours. Ink Tops grow in many shapes and sizes and the marking are unique ! 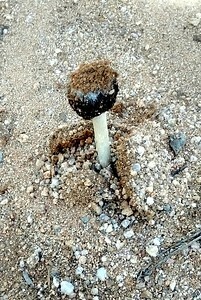 This mushroom is just coming out of the sandy desert ground.